Hello there! I've got some more freebies for you! I am getting ready to start my Halloween cards and Halloween décor. I needed a few embellishments to get me started, so I whipped up a few spooky rounds. 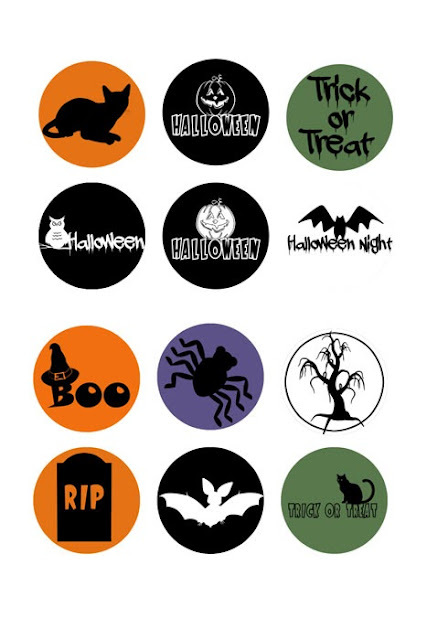 You can download these fun Halloween Freebies designed to fit the Epiphany Crafts Shape Studio Round 25 tool and accessories by clicking HERE. These will print out on a 4 x 6 sheet of paper. (Don't use the image above, it won't produce a nice print).